Many golf clubs are using Footgolf to drive valuable additional revenue to their club. This is due to the gradual decline in golf club membership as well as the sport falling short in attracting younger players. It is important that this trend is reversed and people are encouraged to try, learn and play golf. Younger players will ensure that the sport has a future. Footgolf is popular as it is seen as fun and the rules are easily understood. This coupled with the fact that there is a more relaxed dress code and players can take photos on the course, for example, means that it is seen as a sport for the younger generation. But, golf is a great sport which everyone can enjoy. It is a game that should be encouraged and promoted to all demographics and abilities. Along with Footgolf, it is a game that all the family can play, it gives you the opportunity to spend time outside, ensuring healthy exercise and it is fun. It is also a game that has a broad appeal – it is challenging, sociable, potentially competitive and mixed abilities can enjoy the game together. Footgolf is often promoted as an alternative to golf and at the start a divide between golfers and Footgolfers was drawn in some ranks. Wrongly. We at Footgolf Frenzy believe we can help golf courses attract golfers through Footgolf. We want to help golf clubs increase golf participation. We have taken the bold steps to start offering golf tee time bookings through our Footgolf website. We feel that Footgolf can increase golf participation. 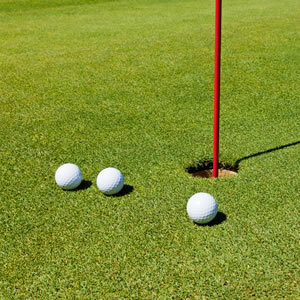 Our system makes booking a round of golf easy and we want to encourage the current informal golfer and footgolfer to book a game and give this great sport a try. We feel by positively promoting 9 hole courses, pitch and putt etc. we can get people out there and having a game – stimulating interest and demand. Footgolf Frenzy has been working closely with The Notleys Golf Club in Essex over the past year to grow their footgolfer and golfer footfall at the club. Through the booking systems that we employ for both Footgolf and golf and through our online marketing services, we have been able to generate 100 additional customers for them. Importantly, the demographics of these customers have mainly fallen into the 18-34 age category and they have been able to grow brand recognition, reputation and loyalty – ensuring that these aren’t just one-time bookers but customers who will book again. How does the golf booking system work on Footgolf Frenzy? If a course chooses, Footgolf Frenzy will add a golf booking system to their Footgolf course page, through a unique and separate tab which sells the merits of the golf course and highlights pricing. This will allow ‘cross-pollination’ and promote golf to potentially interested parties. We will also promote the merits of both Footgolf and golf with unique marketing campaigns such as playing Footgolf and golf on the same or consecutive days. We feel that there is real opportunity in these two markets working harder together to spark similar sporting interest and encourage ‘cross-pollination’ between the sports. Take a look at the golf booking system on The Notleys Footgolf page.